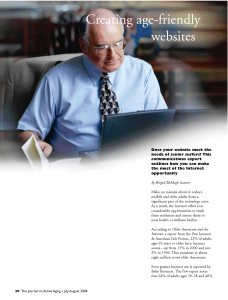 There are various guides and checklists available online to help you ensure your website is senior friendly. Google and have a look at the most recent offerings. Here are a few below. The booklet at left contains a checklist of tips from the National Institute on Aging and the National Library of Medicine. 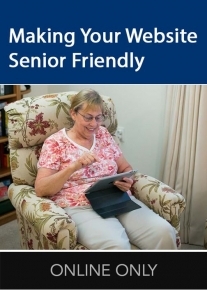 It is available for download here: Making Your Website Senior Friendly.